Less than two weeks ago I was worried about a rather large bushfire about 20km (give or take) away from our home. In typical Autumn weather it rained for almost a full week and put it completely out! Since then it’s been wet, cold and very frosty in the mornings. 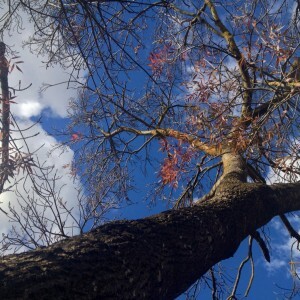 I took this photo of my mum’s Claret Ash tree, planted when we moved here over 40 years ago. It’s currently a sunny but cold 8C (46F) and all the Autumn leaves have turned from green to red and gold and have promptly dropped to the ground, all in less than a week. The only tree that has been able to hold on to its leaves is the red Japanese Maple, it’s the same age as the Claret Ash but only a quarter of its size (maybe 10 foot or so). Some of the leaves are still green too. Just after I took this photo the sky turned black and the temperature dropped yet again, it’s going to be a cold night! I hope my readers in the Northern Hemisphere are enjoying the warmer Spring weather…I’m envious! 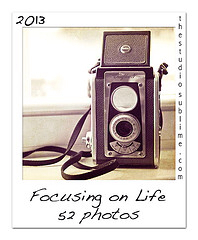 Please visit Sally at Studio Sublime for more Focus on Life posts by the other participants. Wow, this weeks prompt is an interesting one. When I think of hope I naturally think about the future, and that always leads me to think about my kids. I’ve always felt that as a parent it’s my job to ensure that my children’s hopes for their future have the greatest possibility of being fulfilled. 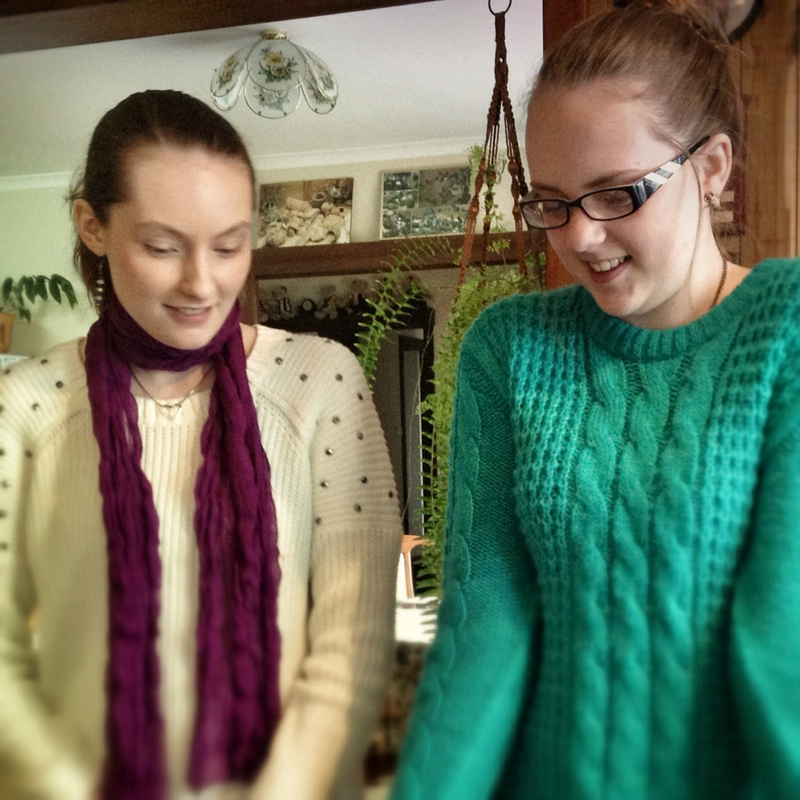 These are my daughters, April (the eldest on the left) and Sara (youngest, on the right). I took this photo at their joint birthdays (born 5 years and one week apart), there is a pair of yummy chocolate cakes just out of shot, one a dragon and the other an owl. April is a first year at university studying music (piano and musicology) and is hoping to add a second degree to that next year. Sara is in her second year of high school (year nine here in Australia), plays guitar and loves drawing and design. Although both are creative, April is organised, responsible and introverted where Sara is extroverted, impulsive and has a wicked sense of humor. I think they balance each other out. These two girls are my hopes and dreams for the future. I’ve been running so far behind the Focus on Life series I’d thought I’d take some time during the week to play catch up. 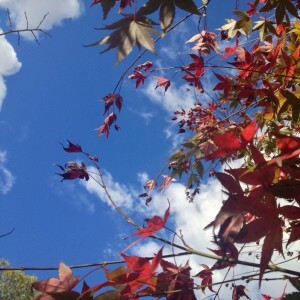 Just after I read this post for Week 17 the weather turned from very pleasant Autumn to a chilly taste of Winter to come. 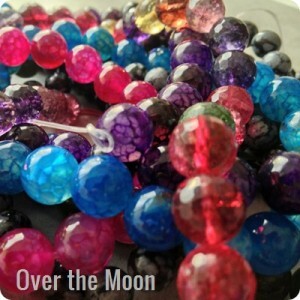 I was in need of hot Summer colours and they came to me in the form of beads. When my Bead Soup partner, Penny, sent me some dragon-veined Agate I know I needed to find some more and these were my solution. This one was fun! I played with one of the photos I took of the beads from Week 17 and ran it through some filters in Photoforge2 on my iPad and finished it off in PSE7. I made a bead from a pile of beads! 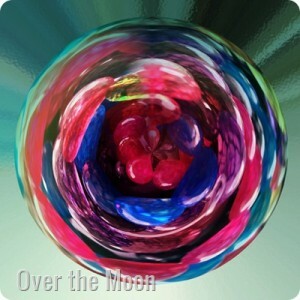 I used the Tiny Planet filter in Photoforge2 to create the circular blurred effect and loaded it onto my computer to add the rippled glass background filter in Photoshop Elements. Don’t forget to come back on Saturday for the next Focus on Life post, and check out the others joining in. I think this weeks prompt is one of my favourites so far. I was spoiled for choice in subject selection – which means of course plenty of old weathered items hanging around here! 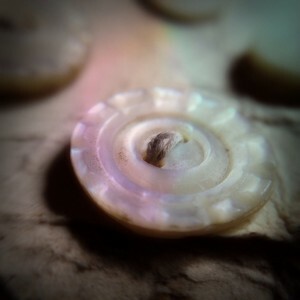 I eventually settled my eye (and the iPhone macro lens) on these buttons. They were originally from hubby’s grandmother’s stash. When she moved house, about a decade ago, she handed out some of her prized collections, one of which was her button stash. I think I have at least four very, very large jars filled with buttons dating from the early 1900’s through to the Second World War and on to the late 1980’s. Jessie worked in the Button Bar in Adelaide through her teen years and later, when her children had grown. Her collection included military buttons from many of the servicemen stationed in and around Adelaide, and sample cards like those pictured here, given out by the salesmen to entice stock orders. 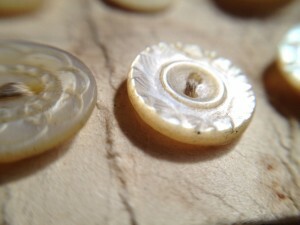 The buttons pictured here are carved Mother of Pearl and are no larger than a pea. Check out Sally’s website to see the links to the rest of the participants. This year I’m taking part in a photo challenge set up by Sally of Studio Sublime. Each week Sally will be sending the participants a word prompt and the following Saturday we will post our photo interpretations on our blogs, Flickr or Instagram. Follow me (MixedMediaJewel) on Instagram or follow the hash tag #focus1photoaweek. This week has been interesting, at the start of the week I was not sure if I could continue with all my creative projects such as this weekly photo challenge (I’ve been absent for the last few weeks) or even my Bead Soup Challenge. 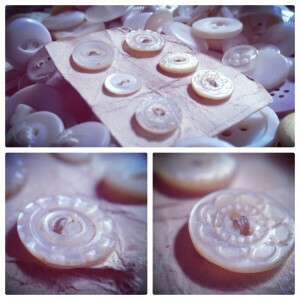 Thankfully the First Reveal of the 7th Bead Soup Blog Party was last weekend and my Muse is back in action. I’m only part way through blog hopping and have two more bead soup pieces to finish. 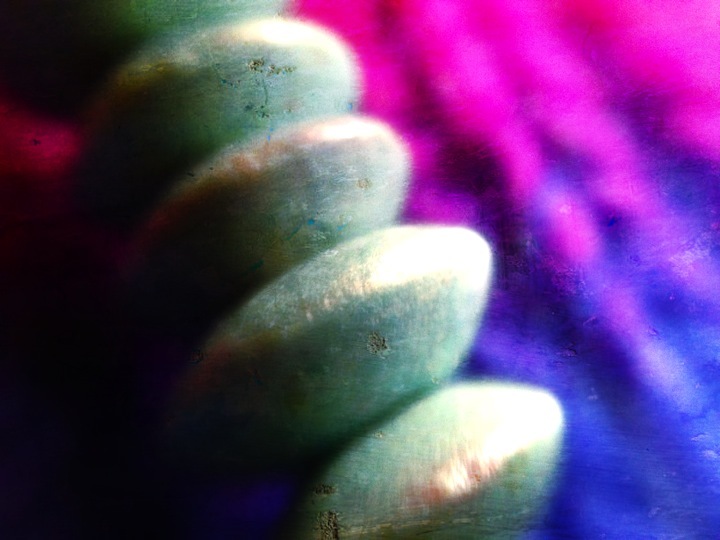 So, without further waffling on my part, here’s my macro shot of one of my bead soup pieces!